It has been well over two months since Paul last fertilized his lawn. In this video, he will do just that, fertilize. The difference here is that he will use an organic fertilizer instead of a synthetic. He will also discuss the difference between the two, as well as the pros and cons. Thought I would switch it up a bit for the intro! Today, we're going to do something I've been wanting to do since I started this project. 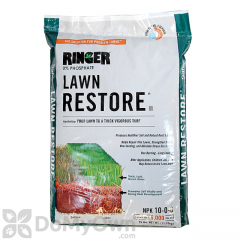 Throw down an organic fertilizer. But as usual, we're going to discuss some things first. Mainly organic fertilizer versus inorganic fertilizer. So for starters, organic fertilizers such as manure, or compost, or bone meal are derived directly from plant or animal sources. 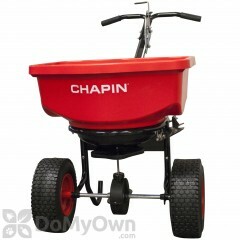 Versus inorganic fertilizers, which are also called commercial or synthetic fertilizers. Now inorganic fertilizers, they do go through a bit of a manufacturing process. They're made up of ammonium sulfate or ammonium phosphate, and there's also natural mineral deposits found within them. 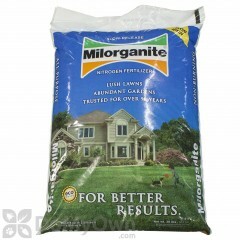 But inorganic fertilizers usually only contain a few nutrients, generally nitrogen, phosphorus, and potassium. There's also some sulfate in some inorganic fertilizers, and they're usually made up of all those materials that I've previously mentioned. Inorganic fertilizers, they get lost from the soil quickly so you've got to reapply several times throughout the growing season. Unless you use one that's formulated specifically to be a slow release which will stretch out that application time. You've also got to be very careful with inorganic fertilizers because they're so concentrated and water soluble, it's easy to over apply and burn up your yard. 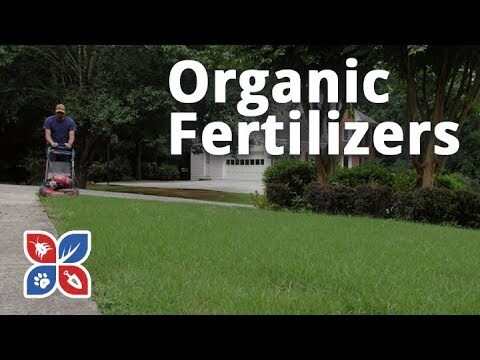 Back to organic fertilizers, many of those usually contain a lot of plant nutrients in small concentrations. Now many of these nutrients, they have to be converted into inorganic forms by soil bacteria and fungi before plants are able to use them. Now because of that, many organic fertilizers are slowly released over time. Another big benefit to organic fertilizers, is it's going to help water movement throughout the soil and, over time, it will help build up soil structure. And speaking of soil, organic fertilizers feed microbes back into the soil, making it a little bit easier to work with. As far as cost is concerned, organic versus inorganic, organics are probably going to be a little bit more on the expensive side. And what I mean by that, organic fertilizers are less concentrated, so it's going to supply fewer nutrients, pound for pound. Now the organic fertilizer that I'm going to be using today is an all purpose organic nitrogen fertilizer, composed primarily of heat dried microbes that can be used on lawns, shrubs, trees, flowers, and vegetables. And what's cool about it, it can be applied anytime during the growing season, and is suitable for just about any climate. And there's hardly any chemical salts in it, so it won't burn plants or scorch lawns even if we're applying it at high noon. 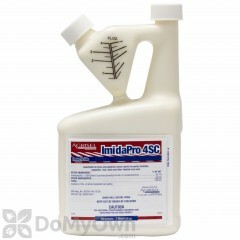 The risk of burning up your yard with this fertilizer, very very slim. Another thing that I really really like about it, is that it doesn't have to be watered in and it contains iron to give our lawn a deep rich green color. Am I overly excited to start spreading this? Possibly, but I'm just excited to see what an organic fertilizer is going to do to make this lawn pop even more! So, time to get applying. Cue the montage and music! So, there we go. There's organic fertilizer for the yard. I'm excited to see what that's going to do. This fertilizer is a slow release; it's going to feed for about eight to ten weeks, so I won't have to reapply until the end of August. Roughly. So, that's really it for this one. Just wanted to do a quick, organic fertilizer application video, to see what it's going to do. That's it for this one. If you have any other further questions about organic fertilizers, leave them in the comments section below, email the customer service staff, or pick up the phone and give us a call. I hope that was helpful, and I hope you'll continue to follow along with us by clicking this button to subscribe to the channel, you can click this playlist to see all the videos in the Do My Own Lawn Care video series, and click this playlist to see the Do My Own Gardening series.